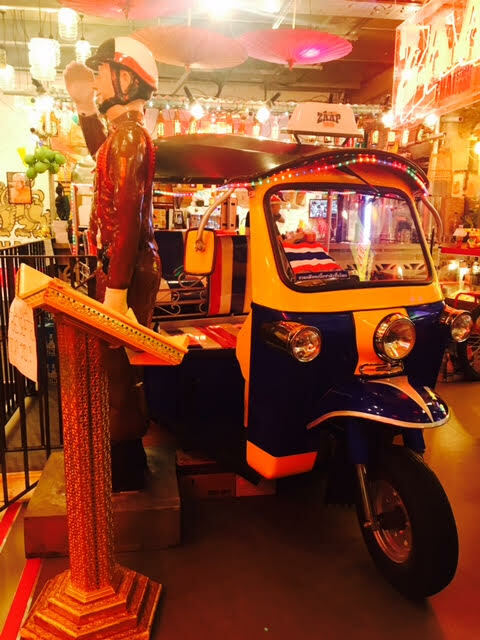 Zaap Newcastle: A taste of Thailand in the heart of the Toon! 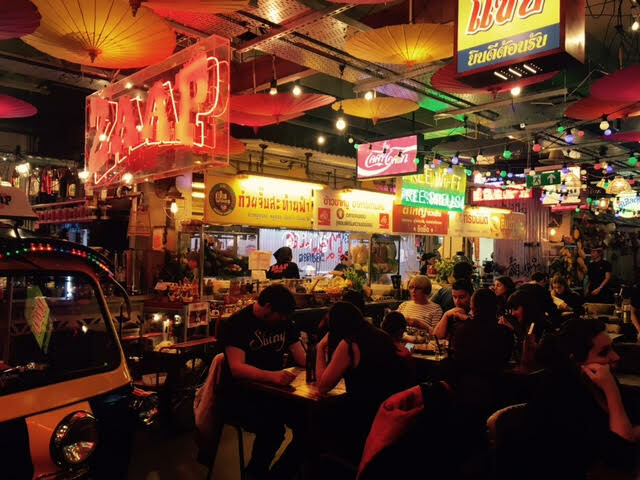 The restaurant, similar to Thaikhun actually, is an Aladdin’s cave of Thai nick-nacks and memorabilia. 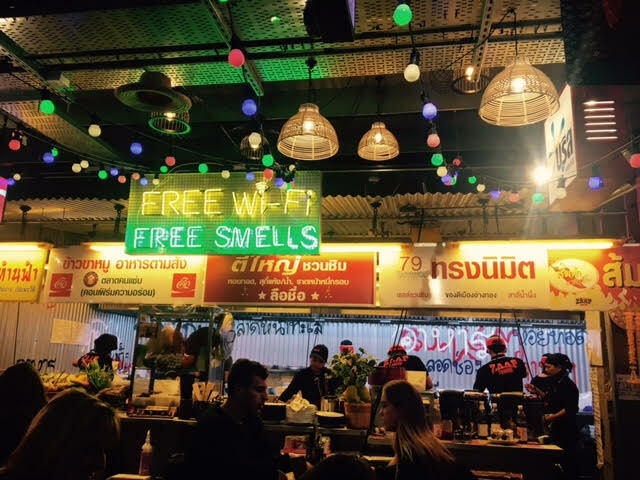 The kitchen itself is set out in the same fashion as the bustling street food markets you find amongst the streets of Bangkok and everywhere you look, there’s something to catch your eye. When we visited, the restaurant was absolutely packed out, so I was immediately thinking they must be doing something right. The eccentric decoration and ever so slightly irritating music make for quite the authentic experience, so I can understand the popularity on first glance. 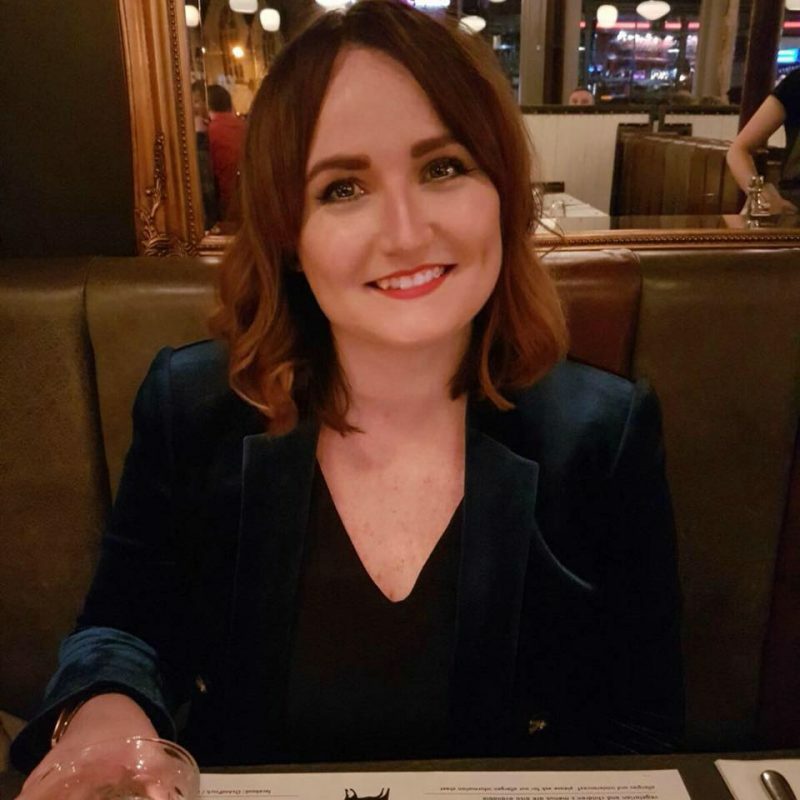 We were seated after a very short wait and given the menus to mull over, which appeared to be just as chaotic as the rest of the venue – in a good way. There’s so much to choose from! Drinks-wise, they have a decent cocktail menu with everything on it priced at £6.95, and there’s also an extensive range of wine, Thai beers and soft drinks. 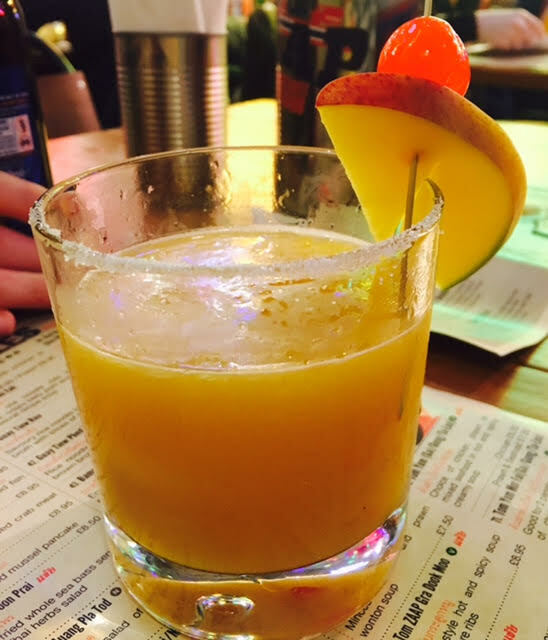 I went for the Mango and Chilli Margarita, with my boyfriend going for the classic – a bottle of Tiger beer. The cocktail was actually amazing. Sweet and spicy all at once, with a kick of tequila and a burst of lime to complete the arrangement. Thoroughly enjoyed, although given the price of them, I decided wine was a more purse-friendly option for the rest of the evening. I’ll not go into the nitty-gritty of the Tiger beer because, well, it’s just Tiger beer, isn’t it! For the non-drinkers and designated drivers out there, there’s also a range of soft drinks, and whilst there we were told that the cocktails can be made without the tipple, so there’s something for everyone. 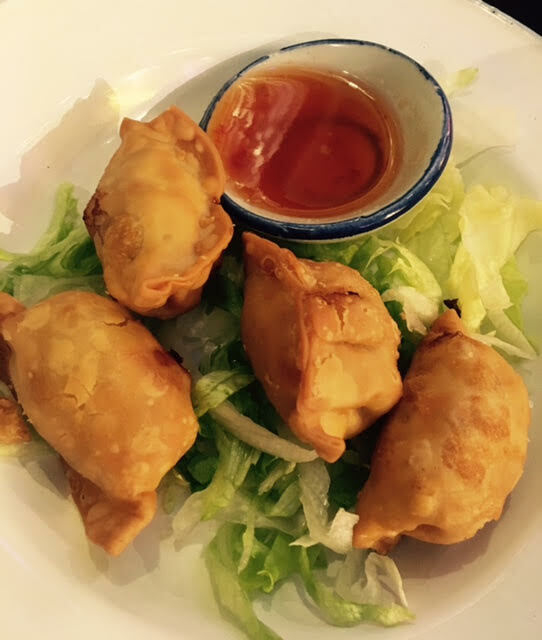 After a good 10 minutes worth of deliberation, we made our menu selections, opting for a range of starters to share and a main course each. 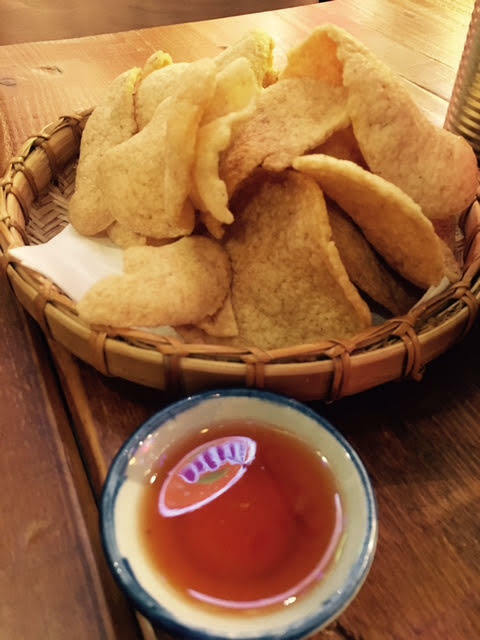 We chose the Thai Fish Cakes (£5), Battered Tiger Prawns (£5.95) and the Chicken Gyoza (£4.50) and Prawn Crackers (£2.25) and were blessed with a smorgasbord of delicious Thai starters. Everything, with the exception of the Thai Fish Cakes, were served with little pots of sweet chilli sauce, so there was very little variation in choice or flavour there. That said, the starters themselves were plentiful, flavoursome and on the whole, really good. 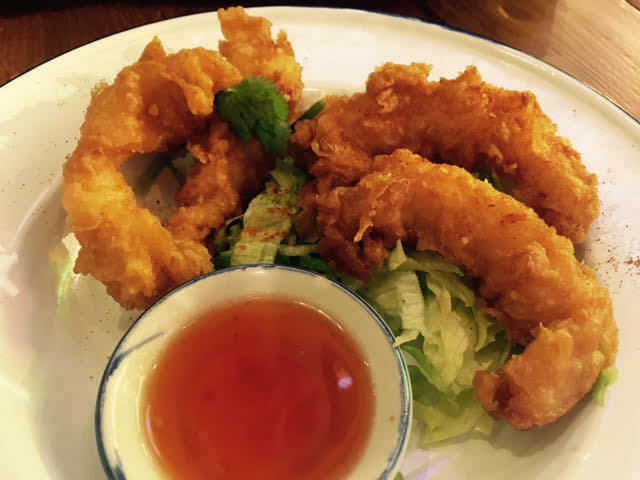 The prawns were super fresh and the batter the perfect consistency; too many times we’ve opted for something similar and the batter has been a little bit too ‘fish and chip shop’ for the type of cuisine. This was light and not oily in the slightest, so it was a winner in my book. 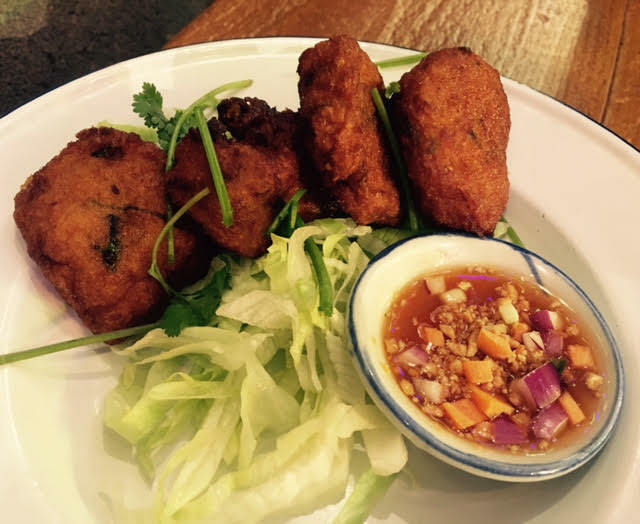 The thai Fish cakes were really tasty, too – just as good as ones you’d find at more expensive Thai restaurants like The Old Siam or Mantra Thai. Finally, the crackers were incredible. I know, I know… they’re just crackers! But seriously, they were so tasty and far too easy to demolish. On a slightly negative note, every single one aside from the crackers were plonked on a bunch of iceberg lettuce, which I didn’t rate much on the presentation front. It just didn’t seem to ‘fit’ – and I don’t remember ever being served iceberg lettuce in all my time in Thailand. Just saying. We had more than enough to tackle for just a starter, so if you don’t have much of an appetite, maybe don’t go as overboard as we did! The portions are a decent size (the prawns, for example, were huge!) so if you’re planning on a main course and dessert, perhaps go for just the one starter each. 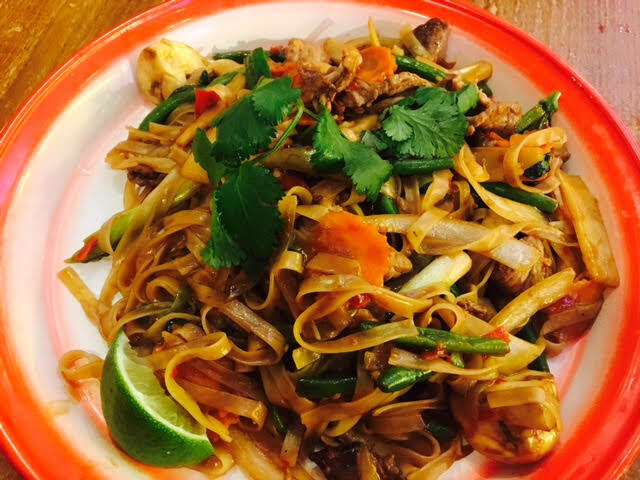 I opted for the Pad Kee Mao (Gai/Moo/Nua/Gung), a spicy stir fried noodle dish with Beef and Thai basil which was priced at a very reasonable £8.50. I’ll be honest, when it arrived I was a little underwhelmed by the look of it, but what the dish lacked in presentation was made up for in flavour. It was spicy, packed with fresh, crunchy veg and there was a load of it, so all of those starters were definitely not the best idea! My only real criticism, and I guess it’s a big one based on the fact it was a beef-based dish, is that the beef was a little overdone and therefore pretty chewy/tough. 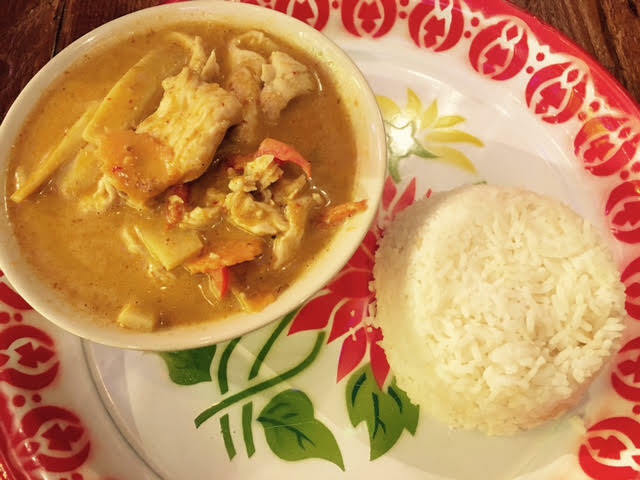 My boyfriend opted for the Gang Kiew Wan (Gai/Moo/Gung), known to the rest of us as Green Thai Curry with Chicken, served with a side of sticky rice (altogether costing £11) and it was definitely the better choice. Let’s face it, is it even a Thai restaurant if they can’t get the Thai Green Curry right? This one packed a real punch whilst being creamy at the same time, and again, it was packed with fresh veg and scrumptiously moist chicken. A real winner and a safe bet for anyone looking to experience Zaap Newcastle who may be a little unsure what to order. Given the chance again, I’d likely go for the ‘Muek Neung Manow’, AKA Baby Squid with chilli, garlic, coriander and Chinese leaves(?!) served in a lemon soup. Add some udon to that and it reads like my dream dish, quite frankly! The menu is absolutely massive and there’s almost too much to choose from, but take your time and I’m sure you’ll find something delicious. I imagine it’s all pretty damn good! The restaurant itself is very busy… chaotic even, so the vibe might be for everyone, but nevertheless we had a lovely little Friday night date night, so I can’t complain. Most of the staff were really friendly, aside from one who seemed determined to take our plates literally after the last mouthful was taken from it. My only other minor annoyance was that I was a little disappointed to be sat at one of the, let’s say ‘regular’ tables, when the prospect of dining in a rickshaw was just behind us! If it had been quieter I definitely would have been asking to sit in one of the themed areas. I’d say so! The food is good, service efficient and friendly, plus it’s slap-bang in the middle of everything, so a perfect spot for lunch in the midst of your Christmas shopping! Prices are very reasonable, aside from perhaps the cocktails, so I’d definitely say you’ll get value for money. 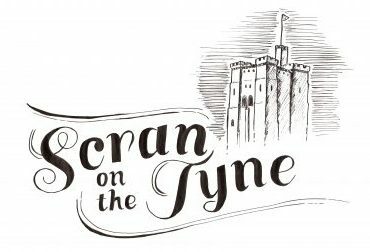 Avoid the mediocre neighbours Turtle Bay/Cabana and head straight to Zaap Newcastle for a taste of Thailand in the heart of the Toon! 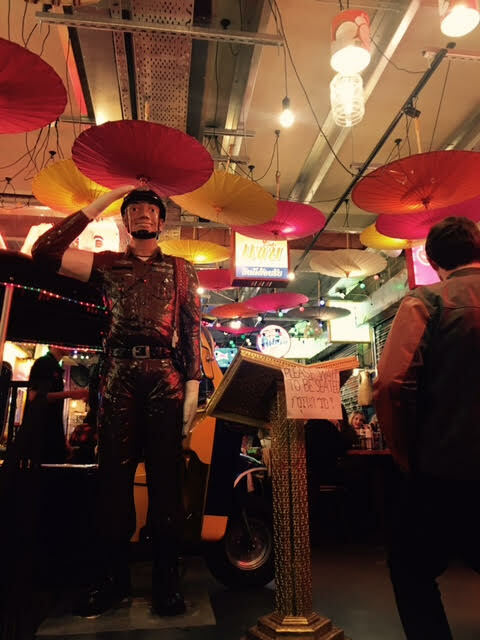 Have you visited Zaap Newcastle? Share your experience in the comments box below! A Right Royal Afternoon Tea: Café Royal. 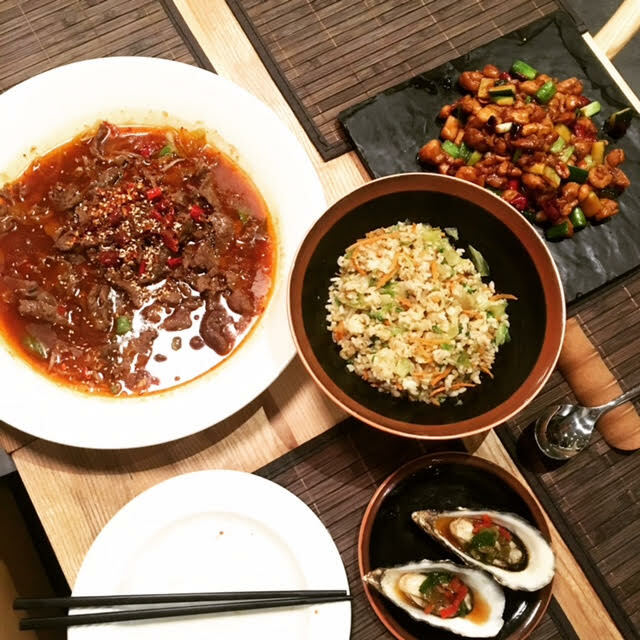 Next Post La Yuan, Newcastle: Authentic Sichuan in the heart of the Toon! I’ve had a few good meals at Zaap and the staff are so lovely! It’s great to have a variety of Thai places in the Toon now! Worth noting that there is a “Zappy hour” for cocktails which I believe is 3-6, might be worth checking that. Cocktails are 2-4-1 and you can mix and match. Ooh nice, thanks for the heads up, Tom!